The Millennium Activity Centre has been built in an area of the wood that was previously overgrown & unused. Work took place over several months by our volunteer staff & with the aid of a grant from the National Lottery. Equipment was purchased & staff trained & the centre finally opened in May 2000. 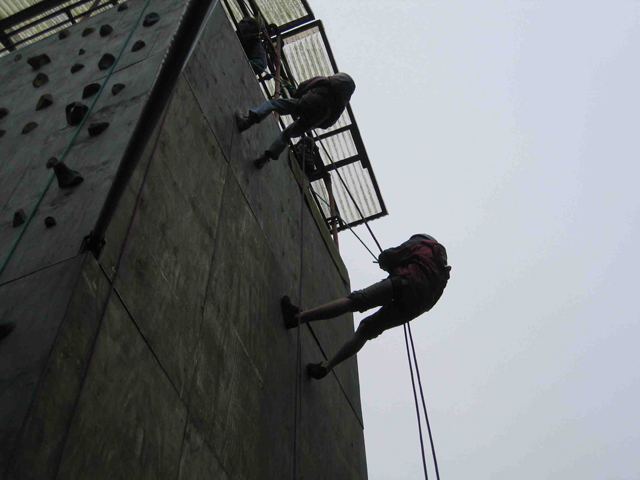 We can provide Archery, Air Rifle Shooting and Climbing / Abseiling at the Activity Centre. All the activities are run to the Scout & Guide Association rules & policies. We also hold third party insurance cover through the Scout Association to allow us to take non-Scout & Guide users. Fees for all our activities can be found on our Fees Page. For climbing, we recommend a maximum of 10 people in a 1 hour session. 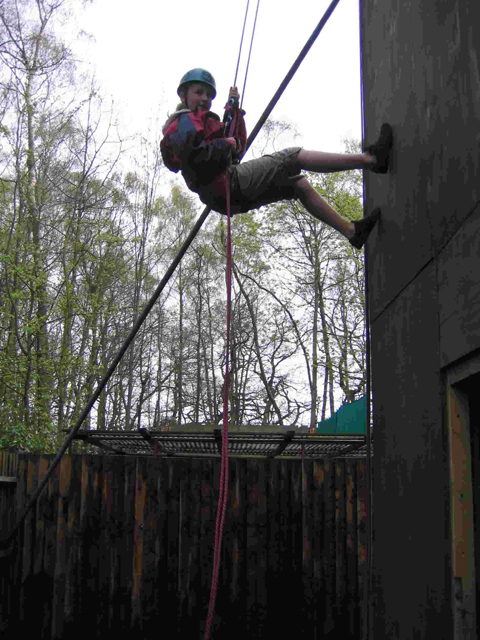 In order to comply with Scout Association rules, ALL adult only groups will be required to sign an ‘acceptance of risk’ form for climbing/abseiling. We run all three activities in 1 hour sessions each starting at 9.30, 10.45, 12.00, 2.00, 3.15 & 4.30 on Saturday & Sunday. Midweek bookings may be possible sometimes. Please make sure you are not late as you might not get your full hour if another group are booked in after you. The easiest way to book any of our onsite activities is to book in advance using our online Activities Booking Form. Alternatively, you may contact our Activities Coordinator should you have any questions. All Guide Association users under 18 will need a Parent Consent Form to take part in any of the activities (Girlguiding Rules). All Scout Association users under 18 will need a Parent Consent Form to take part in the .177 Air Rifle Shooting. Safety is of paramount importance in all the activities & each activity will include a safety talk for each group, once started no further persons will be admitted into the area. This will be kept as brief as possible, but must take place. For the safety of our staff & the rest of the your group, messing about or repeated disregard of safety will result in activities being stopped. Please switch mobile phones OFF or onto SILENT & DO NOT use them while in the Activity Centre. Please be aware that for safety reasons, activities may have to be called off at the last minute due to bad weather. Our climbing/abseiling staff are all trained to the standard required by The Scout Association & then assessed by a County Assessor & finally issued a permit by a District Commissioner. Guide groups please note: We have limited instructors qualified to the Guide Association’s specific rules. The activities coordinator will contact you if there is a problem getting staff. 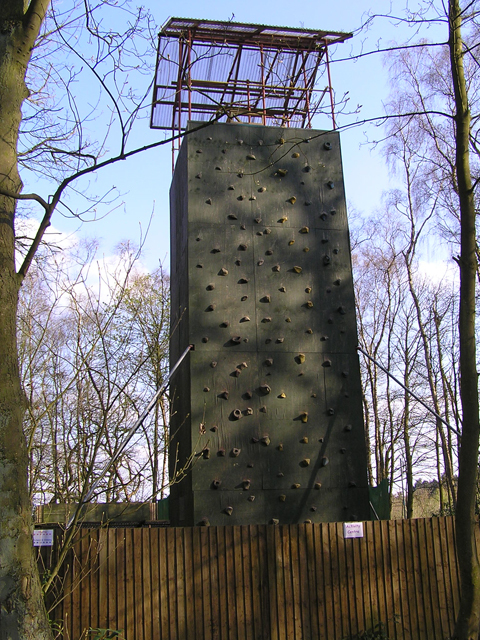 The tower is four sided with one side used for two abseils & two for different levels of climbing. There are four fixed ladders up the centre of the tower with lighting on each level & the top platform is approx 30ft high (9.14m). Everyone entering the climbing area will be required to wear one of our safety helmets, even if just spectating, these must be kept on until leaving the compound at the gate. Please dress sensibly for the time of year also please note that female users of this activity are required to wear trousers. All persons with long hair will be required to tie it back before abseiling. All participants will need to wash their hands before handling food as the climbing equipment is made of aluminium.